ARS NOVA Copenhagen og Paul Hillier præsenterer her den anden indspilning i serien helliget Heinrich Schütz’ (1585-1672) bibelske værker (Historiae). Det danske vokalensemble fejrer således Danmarks stolte forbindelse med denne tyske mester, som blev udnævnt Kapellmester af Christian IV og arbjedede ved det danske hof over to perioder igennem 11 år. Cover-illustrationerne viser relieffer i hamret metal af Karl Schmidt-Rottluff (1884-1976), et medlem af Die Brücke-gruppen grundlagt i 1905 i Dresden – en by, med hvilken Schütz selv havde en tæt tilknytning. "Årets bedste jule-cd. Det er sjældent at høre et værk hvile så meget i sig selv, og der er tale om udgivelse, der tjener de implicerede til ære." "The performance is first-rate throughout. A disc to cherish!" "De sanglige præstationer er smukke ... En indspilning, som lægger op til en fordybelse." "This is an exceptionally well-recorded disc and Paul Hillier directs both works with obvious insight and affection"
"Vocally first-rate, this is a disc on which solemnity and vitality coalesce." "Schütz schlägt aus jedem Wort musikalisch kostbare Funken." "Sehr warmen, geschmeidigen und doch tranparenten Gesamtklang." "Overall this is a disc which gives immense satisfaction and which is a great credit to Paul Hillier as director of both works"
"Schütz recordings of such ardent beauty are much too rare, so this is not to be missed." "Paul Hillier, as always, puts cogent storytelling on equal terms with musical values, eliciting dignified, sensitive and celebratory readings from Ars Nova Copenhagen." "Musikken skal lyde nøjagtig sådan. Med hverken for lidt drama eller for meget. Hvor smagfuldt." "En skrap konkurrent til Bachs juleoratorium og påskekantater." Evangelist: Es begab sich aber zu derselbigen Zeit 2:56 6,40 kr. Intermedium 1. Der Engel zu den Hirten auf dem Felde 3:00 6,40 kr. Evangelist: Und alsbald war da bei dem Engel 0:13 6,40 kr. Intermedium 2. Die Menge der Engel 1:45 6,40 kr. Evangelist: Und da die Engel 0:13 6,40 kr. Intermedium 3. Die Hirten auf dem Felde 1:27 6,40 kr. Evangelist: Und sie kamen eilend 2:43 6,40 kr. Intermedium 4. Die Weisen aus Morgenlande 2:00 6,40 kr. Evangelist: Da das der König Herodes hörete 0:34 6,40 kr. Intermedium 5. Hohepriester und Schriftgelehrte 2:52 6,40 kr. Evangelist: Da berief Herodes 0:37 6,40 kr. Intermedium 6. Herodes 2:09 6,40 kr. Evangelist: Als sie nun den König 2:08 6,40 kr. Intermedium 7. Der Engel zu Joseph 1:51 6,40 kr. Evangelist: Und er stund auf und nahm das Kindlein 3:07 6,40 kr. Intermedium 8. Der Engel zu Joseph 1:43 6,40 kr. Evangelist: Und er stund auf und nahm das Kindlein 1:54 6,40 kr. Der Beschluss 2:02 6,40 kr. Introitus: Chor 1:04 6,40 kr. Der Ostermorgen 9:33 9,60 kr. Jesus erscheint der Maria Magdalena 6:52 9,60 kr. Der Jüngling im Grabe 2:43 6,40 kr. Jesus erscheint den Frauen 1:39 6,40 kr. Rat der Hohenpriester 2:06 6,40 kr. Jesus erscheint den Emmausjüngern 10:31 12,80 kr. Jesus erscheint den elf Jüngern 6:19 9,60 kr. Der Sendungsbefehl 1:44 6,40 kr. Conclusio: Chor 1:31 6,40 kr. The text of Schütz's Christmas historia is similar to that of the resurrection piece in several respects. It, too, is compiled from more than one gospel, though it tends to use long episodes from Luke's and Matthew's narratives rather than draw on all four evangelists in small units. More importantly, the Christmas piece also divides its text clearly into narrative passages and sections of direct speech and contrasts them musically. In this work the speakers are an angel, the host of angels, shepherds, wise men, high priests, and Herod, and once again their words are the high points of the musical setting. Schütz handles the two kinds of text-narrative and direct speech-in very different ways. The gospel narrative is presented by a tenor voice accompanied by basso continuo. The composer's instructions tell us that the singer of the evangelist's words is to be accompanied by organ and violone (double bass), that his voice should be good\ and "bright," and that he should sing not according to a regular pulse but according to the measure of the words. Schütz here describes the stylo recitativo, or recitative style of the theater. He does leave the option of singing the narrative in unaccompanied plainsong (chant) according to liturgical formulas. But the point of the publication of this music was clearly the dissemination of this new style and its flexibly expressive presentation of the story. In this flexibility and responsiveness to the text, and in the approximation of speech-like declamation, this presentation of the narrative is markedly different from that in the Resurrection historia even though both are sung by a solo voice supported by basso continuo. The narration in the Easter piece clearly owes its musical style to the intonation of biblical prose in plainsong; this can be heard particularly clearly in the tendency for the text to be recited on one pitch for long stretches. In contrast, the narration in the Christmas work, with its inflections, rhythmic variety, and relative harmonic freedom, is designed as a quasi-dramatic presentation of the story. This style is from the world of the musical theater, and was (as Schütz pointed out in his preface) new in published music in German-speaking lands. This approach to the narrative does elevate its importance and effect, but Schütz still focuses closely on the eight passages of direct speech in the Christmas work. He sets them-along with framing texts at the beginning and end-in an entirely different manner from the narration. These movements belong, in fact, to an entirely separate ensemble, a concerted group with organ. They present the 10 texts as a series of vocal concertos using an astonishing variety of textures and instrumentation. Schütz labels each of the settings of direct speech "Intermedium," a label suggesting that he thought of them as inserts between the passages of narration. Schütz takes his cues for the musical style and instrumentation of each Intermedium from the identity of the speaker. The angel's words of reassurance in Intermedium 1, with its repetitive rocking bass that recurs throughout the movement, invokes the cradle songs traditionally associated with tellings of the Christmas story. When the angel reappears in Intermedia 7 and 8, this time addressing Joseph, the cradle-song material is reprised, now framing more expressive and text-responsive settings of words of warning and advice. The text of praise sung by the host of angels in Intermedium 2 calls forth a concerted setting of the Christmas text that German composers set to music more often than any other, "Ehre sei Gott in der Höhe." The central place of this text in German musical celebrations of Christmas helps explain its length and ample scoring in this work. The words of the shepherds in Intermedium 3 are introduced by a characteristic pastoral sinfonia with two recorders; this, too was a Christmas convention, one that could still be heard 50 years later both in the Pifa of Handel's Messiah and in the woodwind sinfonia that opens Part II of J. S. Bach's Christmas Oratorio BWV 248. Intermedium 4, for the three wise men, matches a 3-part instrumental texture (imitative at the beginning to make the scoring clear) with a 3-part vocal texture. The high priests, as befitting their solemnity, are sung by four bass voices accompanied by trombones in Intermedium 5. In a strong contrast of color, texture and range, Herod (Intermedium 6) is depicted by a solo voice and two high trumpets in keeping with his royal status. The outer movements set their framing texts in a mostly simple and declamatory texture in which the four voices move almost entirely together. Probably they alternated with instruments playing in a similar texture, pitting a choir of voices against a choir of instruments in an antiphonal relationship. We have to say "probably" because the Christmas historia is transmitted in a complex way, leading to several problems, and the instrumental lines for these outer movements are missing. The difficulties stem largely from the way the composer himself treated the piece. When Schütz decided to publish this work in 1664 he did so in an interesting way. Having divided the work's performing forces into two choirs (one for the evangelist, one for the concerted framing movements and intermedia), he published only the first, "hesitating" (he wrote) "to publish these pieces [the concertos], because he has observed that outside of princely musical establishments these inventions of his are unlikely to achieve their intended effect." He listed the ten concerted movements and their scorings in his preface and instructed interested musicians that they could purchase copies of his settings from the organist of the Kreuzkirche in Dresden or the cantor in Leipzig (Sebastian Knüpfer). Either out of modesty or practicality he suggested that these pieces could alternatively be adapted to available forces, or even composed anew. Just enough printed material from the Evangelist's group survives to transmit the whole musical substance of the narrative, though not a complete set of parts; Schütz himself wrote of printing only a few copies. For the concerted movements we have to rely on two manuscript sources. These do not entirely agree with each other, and may reflect both revision over time by the composer and intervention by other musicians, some of it clumsy. The result is an imperfect picture of the concerted movements, and even some variants in the narrative that may well go back to the composer. But aside from the instrumental lines in the framing movements and a few other gaps, we are fortunate that most of the musical text of Schütz's Christmas historia does survive. It makes a striking companion to the Resurrection historia, adopting its basic textual framework but taking it a step further in musical expressivity both in its narrative and in the words of characters who appear in the story. The Lutheran tradition of musical passion settings grew out of liturgical presentations of the crucifixion story during Holy Week. The kind of musical work that emerged, with a narrative text from scripture and framing movements at the beginning and end, was known as a historia and was realized in a continuous and varied repertory dating from early in the Reformation to the settings of Schütz and beyond. The musical presentation of the resurrection story at Easter has a more modest history, and one reason was textual. The passion had long been presented according to one of the four gospels, but there were no equally well-established narratives of the resurrection in general use. In the Lutheran tradition, Easter historiae were compiled from words drawn from the four gospels, combining words and episodes from each of them into a composite text, and their text was not fixed. The most famous of the compiled narratives was by Johannes Bugenhagen (1485-1558), a Wittenberg theologian and colleague of Martin Luther. Among his accomplishments was the organization of the German reformed church in Denmark, where he lectured at the University of Copenhagen during his stay in the 1530s. The strong political, confessional and cultural connections between the regions were ultimately responsible for the period that Heinrich Schütz was to spend at the Danish court 100 years later. Both the textual compiler and the composer of Schütz's Resurrection historia thus have a connection to Denmark. Bugenhagen's resurrection text, first published in 1526, was well known from a musical setting by Antonio Scandello, an Italian-born composer who was one of Schütz's predecessors at the Dresden court. Scandello's work dates from the late sixteenth century and was published in the first years of the seventeenth; Schütz was familiar with it, and his own setting published in 1623 represented a stylistically more up-to-date presentation of the same text. The features of this text have consequences for a musical setting. After an opening chorus that announces the topic of the historia (just as in a passion) and declares its origin in "the four evangelists," it begins a series of episodes drawn from scripture. The first is the discovery of Jesus' empty tomb three days after the crucifixion, starting with a long narration by the Evangelist, who sets the scene. But the real goal of the section is the question asked by the three women at the tomb in their own voices: "Who will roll away the stone from the grave's entrance for us?" Up to this point, Schütz's musical setting has consisted of an intonation of the Evangelist's words accompanied by an ensemble of four string instruments and basso continuo, a familiar texture often used for settings of Italian poetry. But with the direct speech of the three women the music changes; their words are presented in a different style that uses solo voices over a basso continuo line. This music relies on melodic interest, harmonic color, and the relationship of the several voices to each other, employing imitation, expressive dissonance and its resolution, and other devices. This is the style of the modern vocal concerto and represents the most up-to-date feature of Schütz's work. The alternation of narration and direct speech continues throughout the work and with it the alternation of accompanied recitation and concerted settings. After another passage of narration the concerted style reappears for the words of the two men in the tomb, who sing in a variety of speeds of declamation in distinct musical sections marked by strongly-directed drives towards cadences. Their music aims for vivid expression of textual imagery and affect, and often repeats phrases of text for emphasis. In the Resurrection historia this style conveys not only the meaning of the words of direct speech but also their affect-their expressive element-meant to move the listener's emotions. The narrative is undoubtedly important but the direct speech is the focus both of Bugenhagen's text and of Schütz's musical setting. Each of the episodes included in the historia was evidently chosen for the presence of the direct words of participants, including Mary Magdalene, the two men at the tomb, two angels, Cleopas, and particularly Jesus himself. 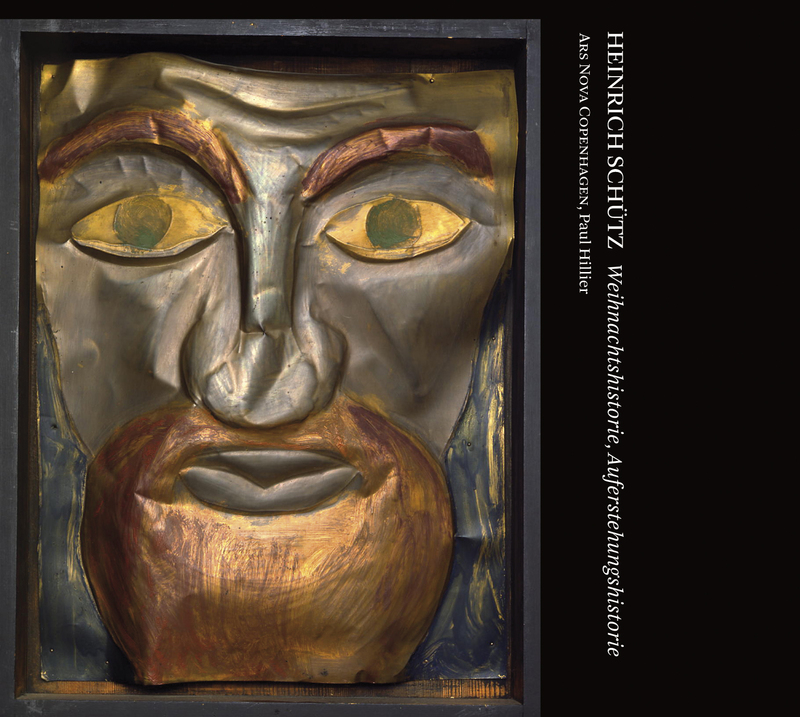 The expressive weight of Schütz's setting falls decisively on these passages but occasionally spills over into the Evangelist's part; sometimes his music goes beyond mere narrative intonation to a more luxuriant style that briefly invokes the monodic solo writing used in theatrical music. The first two sets of quoted words-those of the three women at the tomb and of the two men in it-appear to set up a quasi-realistic relationship between voices and characters. Three high voices deliver the words of the women, and two voices in lower ranges present the words of the men. But this is not consistent throughout the historia. Larger groups are indeed presented by multiple voices (priests by three low voices, disciples by a six-voice complement), and pairs (the two men in the tomb, two angels, Cleopas and his companion) are represented by two voices. But most of the quoted words of individual characters are presented in a way that might not seem obvious to the modern listener, by two voices with basso continuo, not just one. This includes the words of Mary Magdalene (soprano, with an additional soprano part below), Jesus (tenor, with an additional alto above), and the young man at the tomb (alto, with an additional alto above)*. The only character represented by an individual voice is Cleopas (tenor), and it may be significant that his words begin with the question "Are you alone such a stranger in Jerusalem?" The use of two voices for individuals, though not literally representational, allows Schütz to deploy the full range of expressive devices available in concerted settings, including dissonance between the two parts, imitation (and the text repetition and emphasis that comes with it), and textural changes to delineate sections. These effects do not require that both lines be sung, and in fact in his preface (which is full of detailed advice on the performance of the piece) Schütz offers the option of performing one of the two lines instrumentally. He also suggests that the second line may be eliminated altogether. This is rarely done in modern presentations; performers are understandably reluctant to drop entire lines of Schütz's music. But doing so is not simply an emergency measure to be taken if forces are not available. Performing these passages with individual voices tilts them (especially the words of Jesus) towards the soloistic and expressive-that is, towards the theatrical style suggested by the texture of a single voice and basso continuo. Schütz himself suggested this option, and it is one to be taken seriously. The text of the final framing movement prompts Schütz to move one last time from the telling of the story to the depiction of its associated emotions. The words are from 1. Corinthians and invoke the theological topic known as Christus victor, using language that portrays Jesus' resurrection and its significance in military terms. This is realized in an eight-part setting for two choruses presenting the epistle text itself ("Thanks be to God"), throughout which a ninth voice (the one who sang the Evangelist) continuously weaves repetitions of the triumphal cry "Victoria." Eventually the other eight voices pick up this word as well, and the entire concluding section consists of repetitions of it. The musical setting-quick declamation over static harmony-invokes a stereotyped 17th-century musical expression of the text's military metaphor. The tendency of this work to move from narration to expression here sweeps up the entire ensemble to round off the historia. Indspillet i St. Pauls Kirke, København, 5.-7. juni 2009 (Johannes-Passion), og i Garnisonskirken, København, 27.-29. august 2009 (Die Sieben Worte) Producer og teknik: Preben Iwan Coverbillede: Karl Schmidt-Rottluff: St. Johannes (1912). Reproduceret med venlig tilladelse af The Schmidt-Rottluff Estate Grafisk design: elevator-design.dk Dacapo Records og ARS NOVA Copenhagen takker Augustinus Fonden, Sonning-Fonden og Etatsraad Georg Bestle og Hustrus Mindelegat for økonomisk støtte til produktionen.